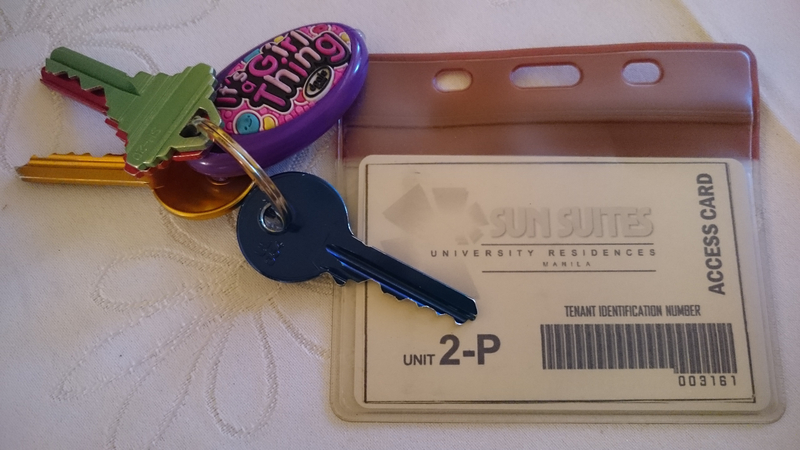 My access card and blue room key! Storm season is upon us Filipinos once more. As I listen to the rain batter my window while savoring my last minutes in bed before breakfast, my mind wanders to the room where I spent the last six years of my life. My dorm in Manila. Sun Suites. Room 2P. I sorely miss my dorm room. It was my haven – my writing room and my symbol of independence. However, it was not without its problems. When I decided to go to law school in Manila I had to go live in a dorm as our house is two hours away from school, maybe more with the rush hour traffic. Add to that the fact that law classes are always at night and me being an only child, my parents didn’t want to take any chances concerning my safety. So dorm life it is. At first I was a bit nervous. I admit, I am a scaredy cat. It is all the more aggravated because I can honestly feel when a ghost is near – I get goosebumps. And I can sometimes truly feel when someone is looking at me in the dark. Plus, it doesn’t help that I’ve had a few near experiences with the supernatural (but that’s another story). (Super)Naturally (:P ), I started to panic. Happily, my dorm was ghost free. 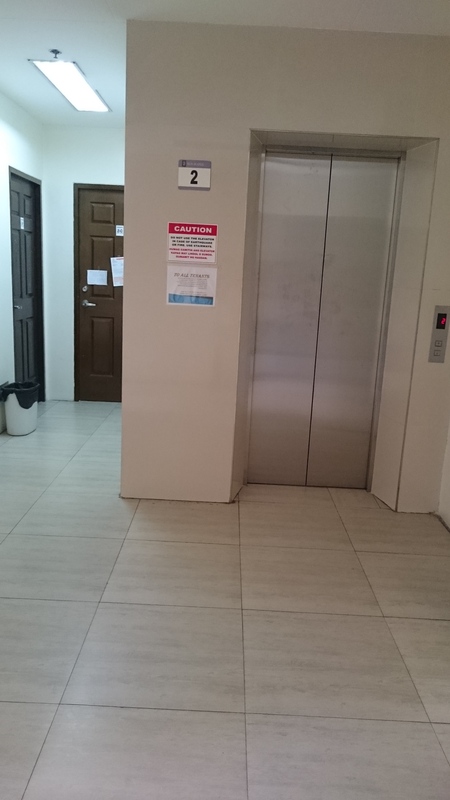 My first room was way up on the 6th floor and aside from the occasional big lizards (yes, I have Scoliodentosaurophobia) which often times left me in a cold sweat, gave me an anxiety attack, and left me sleepless the whole night; my room didn’t have any ghost. 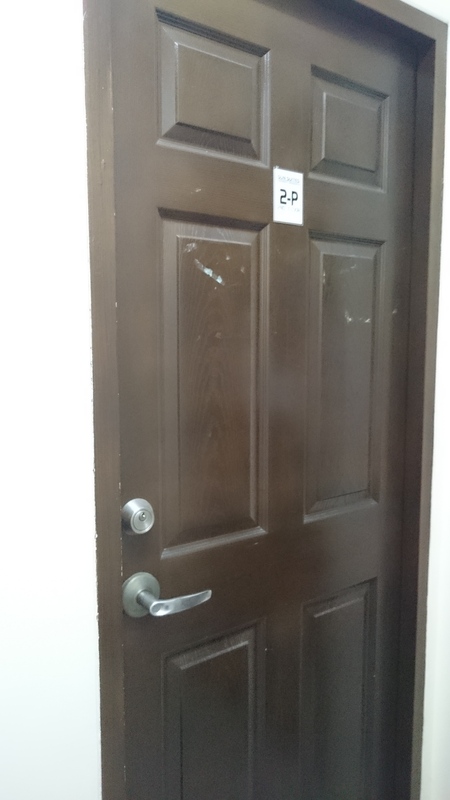 Next school year, I was able to transfer to the 2nd floor in a room equipped with a balcony. I was excited. It actually felt more like a condominium unit than a dorm room. My excitement dissipated a few months later when a lounge of lizards kept running freely around my beloved room. To say that it drove me crazy is an understatement. It was added stress to my already stressful life as a law student. A few months after I started having goosebumps and the nagging sensation that someone was watching me at night. While I’m trying to sleep. Oh joy. Despite all this, I adored dorm life and I loved my room. It offered me the independence I have always craved. To be able to go from place to place without first having to ask permission or having anyone ask me all the places I plan to go for the day and what I am going to do once I am there. Don’t get me wrong, I know my parents are just concerned but at 27 years old (six years ago), I wanted to feel how it is to be responsible for myself. To answer to myself and to make decisions solely for me. And it was beyond fantastic. I have never felt so free in my whole life. I was like a bird who was put in a tiny (albeit, beautiful) cage her whole life when suddenly, the cage door was opened and I can spread my wings as far as I can. If you are wondering why at 27 I was still not that independent, you have to realize that I am Filipino and culturally, we live with our parents as long as we want. This doesn’t bother our parents as it is ingrained in our psyche that family should always stick together and help each other out – financially, mentally, and emotionally. That is why even after marriage, some newlyweds live with their parents. 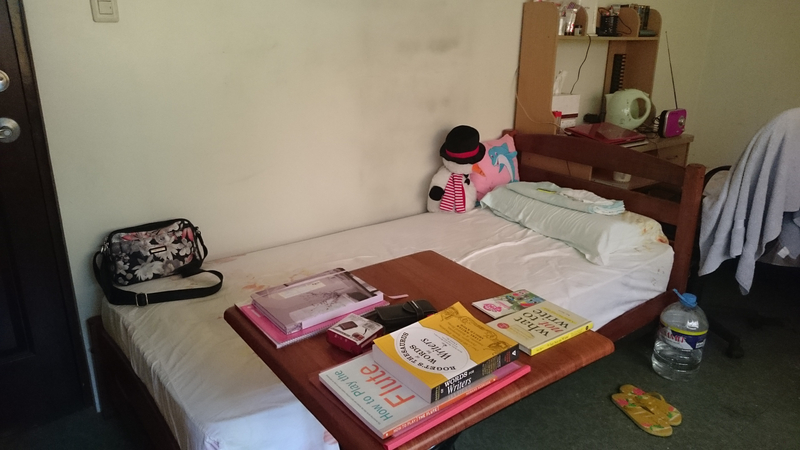 I relished my dorm life. My room, tiny as it is, provided me with the quality time I longed for. I am an introvert so being alone actually recharges me. I enjoy spending time with myself and doing whatever I wanted. Reflecting, reading, watching tv shows and movies on my laptop, cooking, and taking naps. My uninterrupted solace was the best thing that has ever happened to me. I always looked forward to when storm season comes and I wake up to the relentless downpour of rain because classes would be cancelled so I had the whole day to myself. Slowly, I began to write again. Like a rusty wheel, I was squeaky at first but once I started, there was no stopping me. I enjoyed the times when I would wake up and I felt that powerful urge to write and I’d just scoot over to my writing table. All alone, just me and my thoughts. That for me was heaven. To answer the question in your mind, yes, that is where I wrote UNMASKED. In my room up in the 2nd floor, sitting at the edge of my bed with my notebook and paper open on my table. Now, as I listen to the unceasing rain outside the house, I am brought back to that unassuming room that gave an overwhelming amount of joy to a simple girl who wanted nothing in her life but to read and write. That room may have given me sleepless nights and anxiety attacks due to the lizards and the pesky ghost presence but the time for myself – the time I had, to do whatever I wanted, more than made up for it. If I can go back to that room I would do it in a heartbeat. I would first make sure though, that all the spaces where the lizards could enter are tightly sealed and those ghosties had transferred to another room. Hopefully where there’s a much braver girl than me.